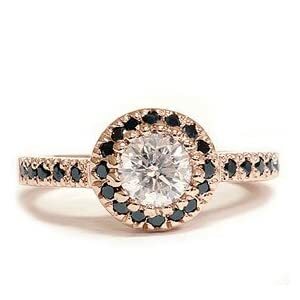 Black diamond engagement rings are your best bet when looking for a unique and elegant piece to match a well-prepared proposal and to surprise your loved-one with. 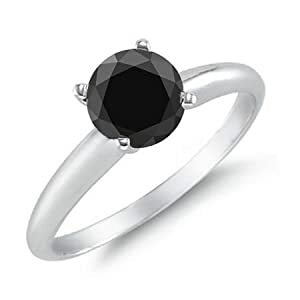 Black diamonds are usually not the first choice for engagement rings but has become popular and sought after since Carmen Electra flashed her black diamond solitaire engagement ring to the world. Engagement rings, also known as betrothal or promise rings, have been around for centuries especially in Western cultures. These rings or bands serve as formal agreement to marriage. Depending on tradition and culture, engagements rings may be worn by both men and women. In North America and the UK, engagement rings are worn traditionally by women on the left hand ring finger. This practice comes from an ancient Egyptian belief that the left ring finger contains the “vena amoris” or the vein that leads directly to the heart. Women in some other countries, like Ukraine and Poland and sometimes Germany, wear engagements on their right ring finger. Like any piece of jewelry, engagement rings come in a variety of styles and features many different gems. The most common gemstone used for engagement rings are diamonds – usually pure and colorless. 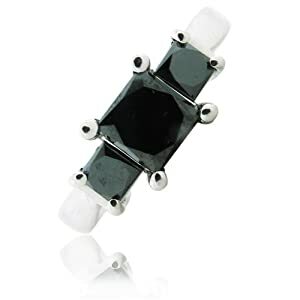 But as mentioned earlier, black diamond rings have gained popularity and are now being considered by many, especially by those who want to break free from tradition. 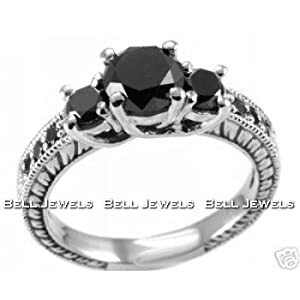 These black diamond rings are distinctive and elegant pieces of jewelry. They are usually set in silver, silver-plated, platinum and titanium rings to highlight the contrast of these hues against the gem’s deep and dark color. 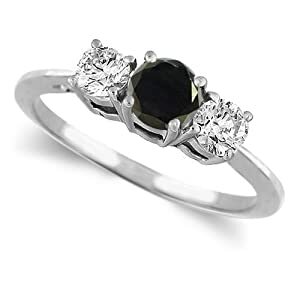 Black diamond engagement rings are available in different styles such as solitaire, trinity or trilogy and those with side stones. 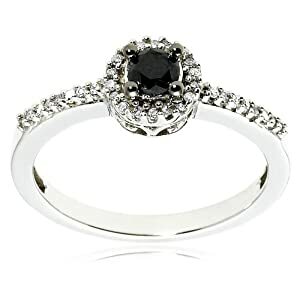 A black diamond solitaire engagement ring features a single black diamond. Solitaire rings differ in band designs and prong settings. 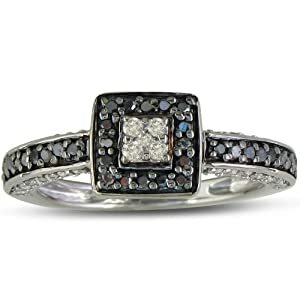 Black diamond trinity or trilogy engagement rings feature three diamonds set horizontally, having a bigger stone set in the center. Some people believe that this ring design represents a religious significance. Others say that the arrangement represents a couple’s past, present and future. Other designs feature side stones which are usually pure and colorless diamonds. 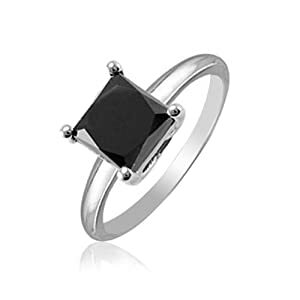 These side stones add a more brilliant and stylish effect to an engagement ring with black diamonds. 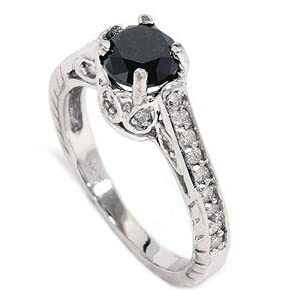 Black diamond engagement rings are expensive pieces of jewelry although black diamonds are classified as fancy gems. The value of these precious rings varies and depends on style, cut and carat count. To get the best deal for a black diamond engagement ring, make sure to purchase from credible jewelers and ask for the diamond’s proof of authenticity. Make your engagement unique and more memorable by choosing something distinctive with both luxury and flair.